Mr. Robot is an American 60 minute scripted thriller television series, which kicked off on June 24, 2015, on USA Network and is broadcast every Wednesday at 22:00. The show is currently in its 3th season. USA Network has officially confirmed the renewal of Mr. Robot for Season 4. The exact release date is yet to be announced so far. Sign up to track it down. Mr. 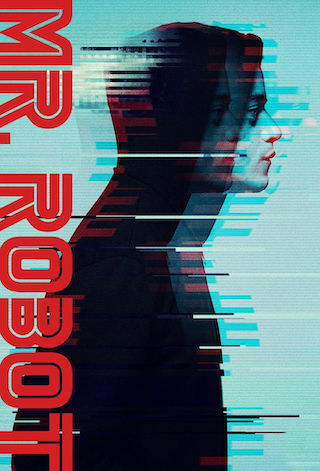 Robot follows Elliot, a young programmer who works as a cyber-security engineer by day and as a vigilante hacker by night. Elliot finds himself at a crossroads when the mysterious leader of an underground hacker group recruits him to destroy the firm he is paid to protect. Compelled by his personal beliefs, Elliot struggles to resist the chance to take down the multinational CEOs he believes are running (and ruining) the world. August 29, 2018 - USA Network today announced the fourth and final season of the award-winning MR. ROBOT will return in 2019. Season 4 will pick up where the third season finale left off, delving into the pros and cons of Elliot hitting "send" on the email that could reverse 5/9. The series stars Emmy Award winner and Golden Globe(R) nominee Malek, Golden Globe Award winner Slater, Portia Doubleday, Carly Chaikin, Martin Wallström, Grace Gummer, Michael Cristofer and Emmy Award nominee BD Wong. MR. ROBOT hails from writer, director and executive producer Esmail, as well as Anonymous Content executive producers Steve Golin and Chad Hamilton.